As the turmoil in Libya continues, many have left North Africa to seek refuge in Europe. 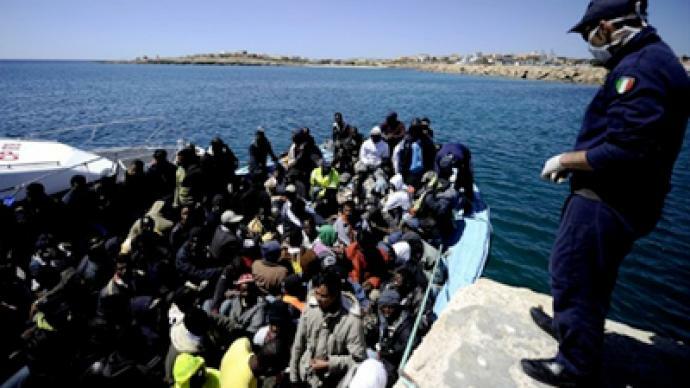 Tens of thousands of Tunisians and Libyans have headed to the Italian island of Lampedusa looking for safety, away from uprisings in their homelands. 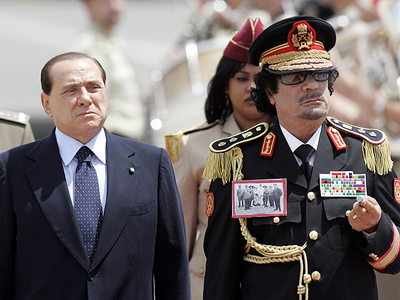 ­The crisis prompted the Italian foreign minister to call for political action from the EU on Sunday. On Monday Germany said it will not take on the migrant burden, criticizing Rome's decision to hand out six-month residents permits to refugees. Meanwhile, Italian journalist and author Fabrizio Maronta says that the numbers are not as huge as originally thought. “So far we have some 30,000, more or less, migrants, most of them from Tunisia and the rest of them from Libya, but not all of them Libyans and not all of them Tunisians, who escaped, fled their countries and came to Italy. That number is a quite big one… Anyway it is much less than the overall figures of illegal migration we get every year since most of the migrants usually come from Slovenia. We have a difficult situation but we do not have a real emergency,” says Maronta. 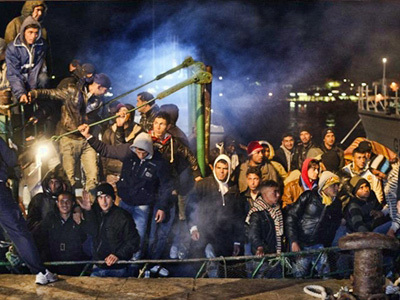 Many Europeans are worried about the invasion of North African immigrants. Germany has spoken out against Italy's appeal for assistance with the country's interior minister condemning Italy for issuing visas to migrants from North Africa. According to Maronta, the Italian government could not leave refugees without legal status and the only option was to grant them a temporary visa. “The legal issue is that if this visa can be considered a sort of passport for the Schengen area, which of course encompasses most European countries, we say yes,” he says. From this point of view the Italian government knows very well that the final destinations for these people are France and Germany Maronta believes. “What is going on right now is a sort of dirty game on these poor people with our [Italian] government wanting to get rid of them,” adds Maronta. Another serious problem is the lack of time limit for this migration process, because while the numbers are not that huge so far, it could last for a very long time. That poses a very big problem for bilateral relations with those countries and also politically with Europe. 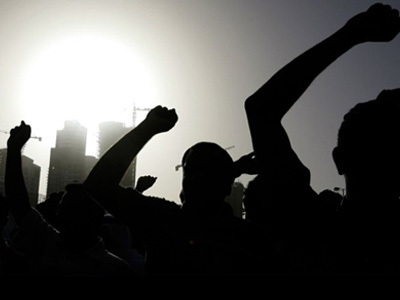 “The inhabitants of the island of Lampedusa are of course enraged with the government. They feel that the government has let the situation leap out of the tent," says Maronta. Danish MEP Morten Messerschmidt says it is a common European obligation to limit the number of people coming to the EU, so as not to create problems for the whole of it. “The idea of the EU was to help each other, but the realistic terms of the EU tend to be that we just enforce the problems upon each other. And that’s not the way to do it,” Messerschmidt told RT.